If you ever want to say hello, or need a listening ear...drop me an email. I'm always around! I need to update this page, but I can't bring myself to make Ryan's bio past tense. Someday soon, when I'm ready. I was born and raised in the same Northern California town that my husband and I raise the boys in today. I have 5 brothers and sisters, which lends to my fighting nature. My hubby and I married young, brilliant decision! We are more in love today than ever...(trust me...I know how lucky I am.) I've always loved to write. When I was in 3rd grade I remember my writing assignments being 20 pages long. When it comes to my feelings, I am always honest to my boys, my husband, and to you. I have very strong opinions, but I know that everyone else has them too...so I try to always be fair. My family is everything. If you are my friend, than you are part of that family too. Our Diabetic Life is my home away from home. I come here to release all the emotions I keep stored in my swelly brain. I come here to find others who "get it." Thank you for being one of those people! He asked me to marry him in his bedroom with Boston playing in the background. I had to say yes, right? He tells me he loves me everyday. He thinks I'm beautiful...even on my worst days. He helps, he loves, he is my best friend. He also has a paying job or something, but excels most at his really important un-paying jobs of being a husband and a father. He is a teenager through and through. He is now contemplating college, and the rest of his life. He has the hugest heart, the hugest smile and the smallest amount of spite of anyone I know. He was seriously born this way. I take no responsibility for his gentle nature. He plays the saxophone, and is in some serious honors classes at school, all of which I tried to talk him out of. He rebels by taking them anyway. Also a teenager, even though he is new to the fray. His voice cracks, he has the greatest dimple on his left cheek, and he is too smart for his own good. He is a ferocious reader. This guy was diagnosed at 8 months old and hasn't woken up one morning questioning why he has been given this Diabetic Life. He is now on his own for the most part on the diabetes front. I check his meter to make sure he tests, but I depend on his A1C and his pump print outs to confirm he is doing what he should. And he does. He is my hero. Was born a 10 pound 4 oz., 24 inch long bundle of happiness. He loves hard, he cries hard, he plays hard. When he was diagnosed at 5 years old he had no complaints. In fact, before he was diagnosed he used to cry that he wanted diabetes too, so he could have a pump. "They glow in the dark!" he said. "Lalalalalala" I said, as I plugged my ears and begged him not to say that anymore. He is a loud and proud T1 Diabetic. He is smart, he is fun...he leans in, head first, for hugs...and he generous. I'm going to keep him. L was diagnosed at 2 years old. He has been a miracle since the day we found out he was coming into this world. He says the funniest, most interesting things, and is the inventor of the word, "Shockaprising!" He is my squishy baby and I fear I will treat him as such for the rest of his life. He has just hit a big growth spurt. Make it stop. Please, make it stop! Hi Meri. I'm the mother of a wonderful T1 2 1/2 yr old little girl. She was diagnosed at 11 months. I just want to say thank you. There are days you make me laugh and days you make me cry, but most of all you make me feel not so alone. Super, super cute header. Love it. Love the new header Meri! MERI! LOVE the new look for your Blog!!! hey!! I just sent you an email. It will be from kayleebugg11@gmail.com. I am a T1D. I just started a blog myself! Hi I'm a fellow mum but of two boys with Type 1 and can so relate to your phone conversation! We saw My Sentry here in the Uk at a Friends for Life conference with CWD but they are now saying it won't get here for years :-( I asked them at the time to make it listen to two pumps at a time so I wouldn't need to have two of them ~ let's hope they listen to us! We do at least have the VEO with auto shut-off over here, but am I greedy wanting all the tech right now... faster... please? Another mom who is inspired and wonder how you do it. There are 3 children in my life. The oldest is 23 & was born with Spina Bifida, a very 14 year old daughter and a 10 year old T1 son who is and has always been the light of my life. I get so frustrated monitoring 1 person's hi's & low's! I thank Medtronic for connecting your story with the rest of our world via Infuse. I will visit your blog again. Have a great Friday! Dear Mari, I will be praying for you family as well as passing it on to members of my church, Pacific Baptist in Pacifica, CA. God has a plan for you, Ryan and the boys. He gave the boys to special parents; parents that love the Lord as well as their family. God does do miracles and I pray He will do one for your family. Two of my favorites verses are Phillpians 4:13 and Proverbs 3:4-6. If you are wondering who I am and how I heard about your prayer requests...I am betty Lindsey's mother out here in California and saw Betty's prayer request for you on Facebook After I send this to you, I will be calling members of my church to pry for your family and asking my Sunday School class to pray on Sunday. May God Bless your family with His healing touch, His Blessings and His Love for. 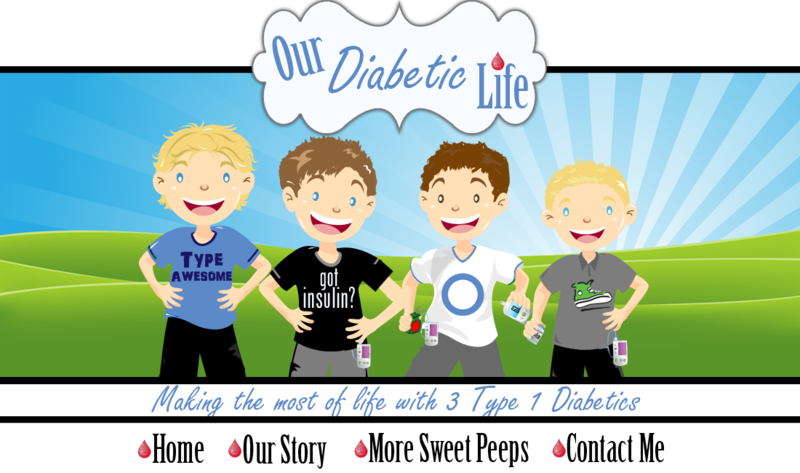 I have a 9 yr. old son who was diagnosed with Type 1 diabetes last year. Last month, my husband was diagnosed with advanced bile duct cancer. He had surgery 5 days ago to try to remove a 6-inch tumor on his liver, but the surgeon found the cancer had spread throughout the liver and lymph nodes, so they closed him up. He starts chemo in 3 weeks. Even though I only have one child, I can relate to how you are dealing with both cancer and diabetes. May God be with you. Thank you for inspiring others through your gift of writing. I am a mother with type 1. I am blessed to have a wonderful husband and 3 inspirational children. 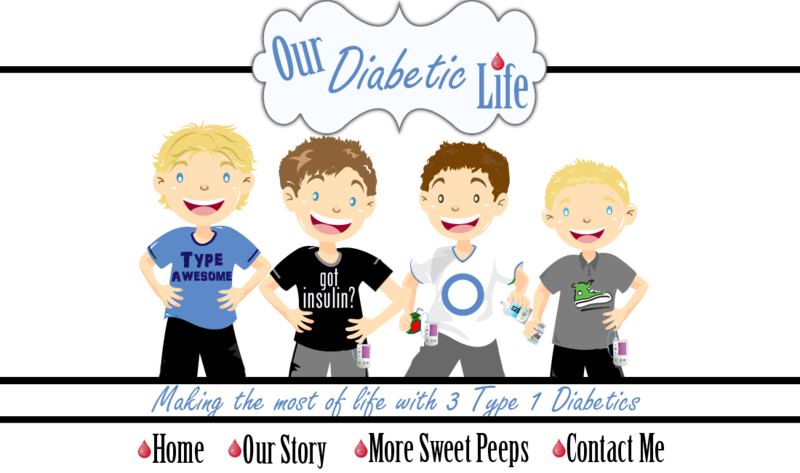 We are also a family that have 3 people with type 1 diabetes. I love to learn from others. Hugs! Meri, your blog was forwarded to me early 2013. Since then I have followed your posts and feel compelled to tell you what an amazing story you have to share. I began following because I have a T1 child also. However what I read in each blog, is a beautiful story about your faith. Your love for God transends into everything you write, and you convey it so gracefully. I pray for you when you are sad and I pray for your strength to care for your boys. I wanted to say 'Thank You" for putting into words what faith looks like. What a shining example you are, and God honors that. Hi meri.. I read about your family in a magazine of diabetic living .. you are a really amazing mom.. im diabetic since September 2012 .. im a girl im 16 years old.. how can a I have more communication with you? cause I love learning about diabetes. Hi! Just read your article in Diabetic Living magazine. So impressed by your faith and positive attitude! My 13 year old son was diagnosed with Type 1 a year and a half ago. 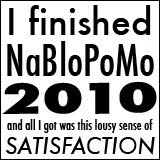 I knew nothing of diabetes. Now I know more than I care to know...yet much more to learn. Looking forward to following your blog! I saw your story in the Fall issue of Diabetic Living & thought it was very inspiring. I was diagnosed with Type 2 Diabetes last October & I felt a lot of the same things you must have been feeling i.e. denial, fear, & so on. Thanks so much for sharing your story. I just read your story in the Fall issue of Diabetic Living and was so deeply touched by it. I am a proud mother of a Type 1. My son is 11(almost 12) he was diagnosed at 10 yrs old. It is a huge struggle everyday but i am feel very fortunate that i get to have him home and taking care of him myself. I realized that in our 5 day stay in Children's hospital...you sometimes do not realize how lucky you are until you see other children's/parents struggles who may never make it back home. We have recently started on the pump so we are hoping this will give us better managing. Thank you for this blog it is so nice to see that you are not alone in this and there really are people out there who understand your everyday feelings and struggles!!! Hi Meri. Thank you for being so transparent and helping the rest of us with T1D kiddos feel like we're normal! Mostly, thank you for helping me feel like I'm not alone.